Hangzhou 3 Sun Fishing Tackle Co., Ltd. is an international import and export trading company, which dedicates to provide a complete range of high quality fishing tackle products, like fishing rods, float tube, fish finder, fishing reels, fly fishing, rod pod, fishing lures, bass fishing, fishing floats, etc. by providing professional and comprehensive services for our clients. Our company product ranges cover fishing rods tools and sports products accessories with more than 150 varieties and specifications. Our mainly exporting market is in Europe, America, and Southeast Asia etc. We have established good relationship with our partner factories, who can supply like fishing rods, reels, lures, fishing line, fishing tackle China, float tube, fish finder, fishing reels, fly fishing, wire, rope, hooks, fishing net, floats, light stick, spoon, spinner, rod pod, squid jig, swivel, snap, bite alarm, fishing chairs, fishing waders, wet suit, boots. Besides, we also engaged in the business of camping equipment, products like tent, sleeping bag, headlamps and camping lights. Our principle is to provide our clients with high quality fishing tackle China products, excellent services and competitive prices. With keeping on developing and improving fishing tackle, we will cooperate with friends from all over the world to achieve mutual benefits. We have a professional and reliable sales team. 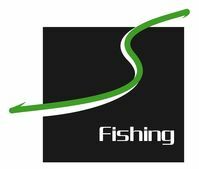 We sell our products to world famous fishing brand, such as Rapala, Okuma, Shimano, Banax, Purefishing etc. Fish Finders- The first step is to determine what price range of fish finders you can afford. Fishing reels are traditionally employed in the recreational sport of angling. Fly fishing is a philosopher’s sport. Rod pod Will last a lifetime! 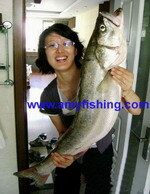 Copyright © Hangzhou 3 Sun Fishing Tackle Co., Ltd. All Right Reserved.